Please note parts of Volcanoes National Park remain closed, after the seismic activity of 2018. Please visit the National Park Service site link below for full status and updates. Perfect companion to thoroughly explore the Big Island. Included are 4 driving routes; 2 full day (Volcanoes and Island Circle) and 2 half day (Kohala Coast and Kona Coffee Coast). 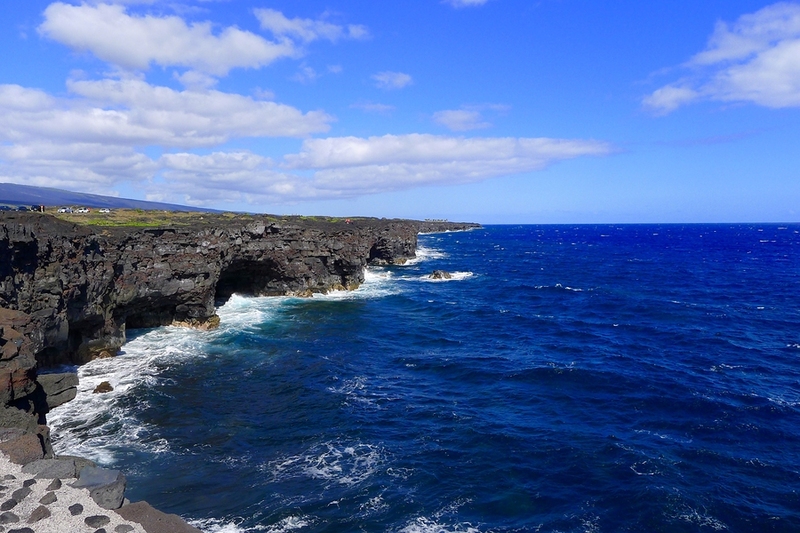 The most popular day trip to do on the Big Island. It's a must-do for any first time visitor. 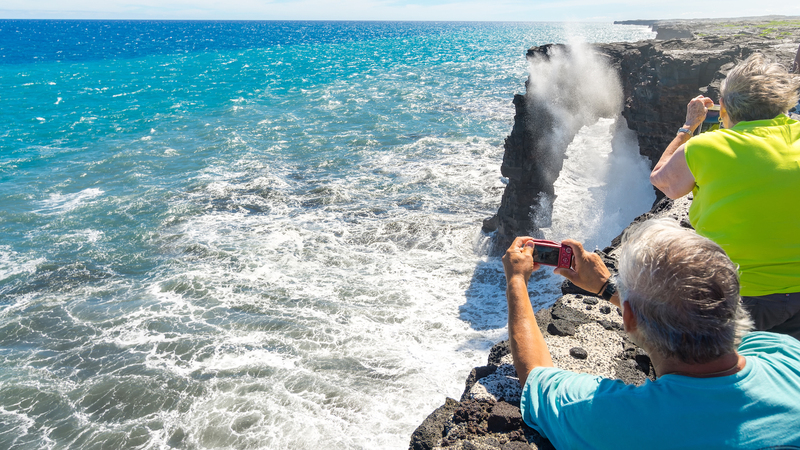 Starting in the resort areas of Kona, Kohala or Hilo, we'll make some "not to be missed" stops before exploring Volcanoes National Park thoroughly. 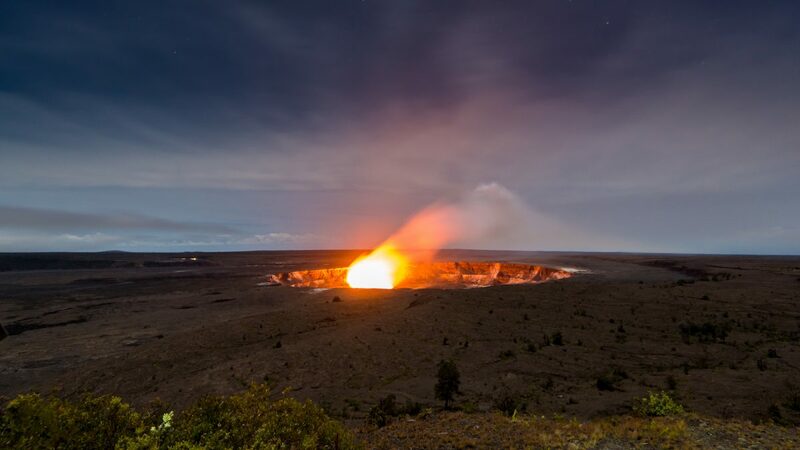 Driving from the Resort Areas of Kona and Kohala, or from Hilo, for a day trip to Volcanoes National Park is the most popular day trip to do on the Big Island. 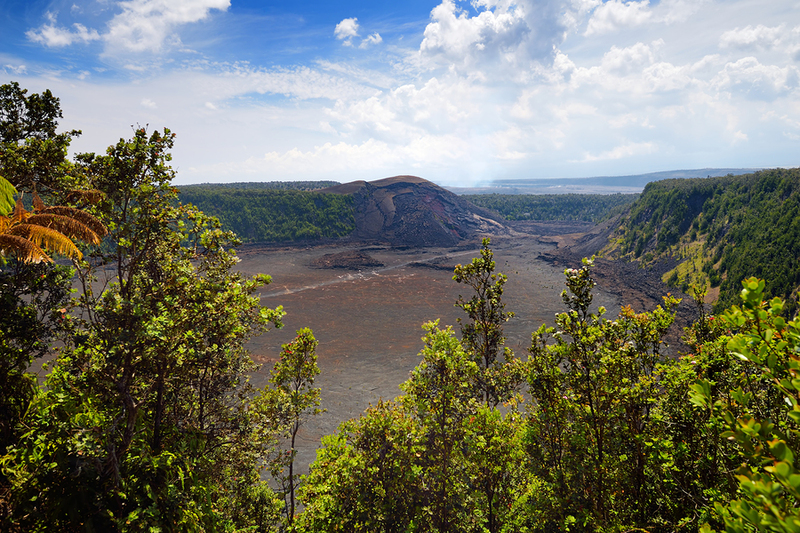 Its a must-do for any first time visitor, and because the park is constantly changing many visitors will go to the Park every time they visit the Big Island. From the Kona side, its a full day so an early start is recommended. 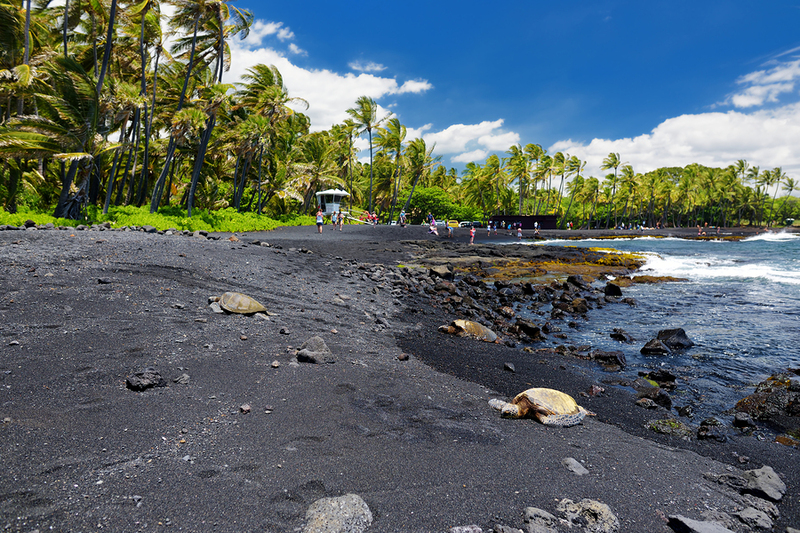 Our tour drives us directly to the Park with only a few sightseeing stops along the way so we can maximize our time at the park, but we couldn’t drive past a black sand beach without just a quick look. Once inside the Park, the tour will lead you to the best locations, and help you not waste time at the less important locations. The Park is large and ranges from the Halema’uma’u Crater, venting steam and gases at 4000 feet, down to the Holei Arch, a beautiful sea arch on some of the newest coastline on the planet. We’ll see green natural forest surround by barren lava flows. 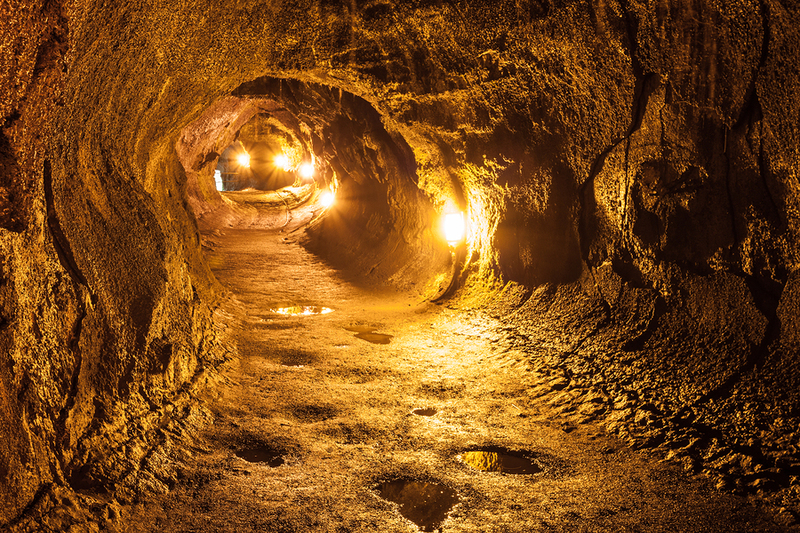 This tour designed for those who plan to drive to Volcanoes National Park only. 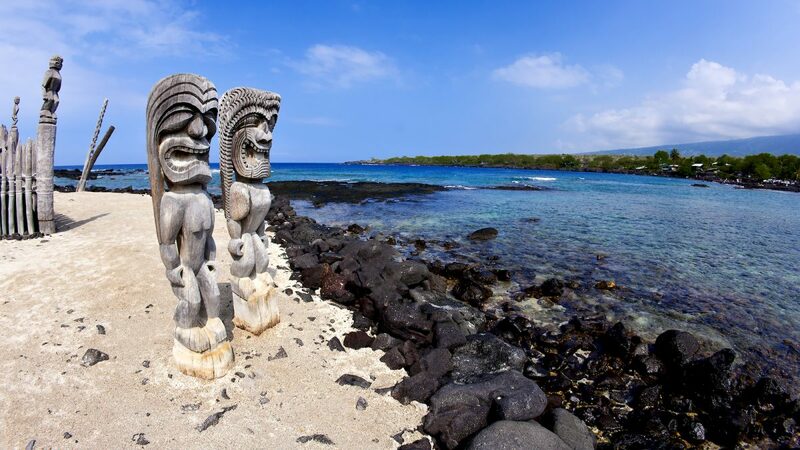 If you plan to do more sightseeing and drive touring around the Big Island, the the full Big Island, Hawaii tour is recommended as best value. Indicate our suggested start locations, or join the tour anywhere along the route and as you pass through the next point, commentary will trigger automatically. What's going on with the Volcano? While much of Volcanoes National Park remains closed, there is no reason for travelers to change or alter their travel plans to the Big Island of Hawaii. All airports, accommodation, activities and attractions across the island are still open, with the exception of those in areas affected by the current volcanic activity. Please visit the National Park Service https://www.nps.gov/havo/planyourvisit/lava2.htm for current status. From Kona-Kailua, join highway 11 and drive southbound. You can join anywhere along the route. 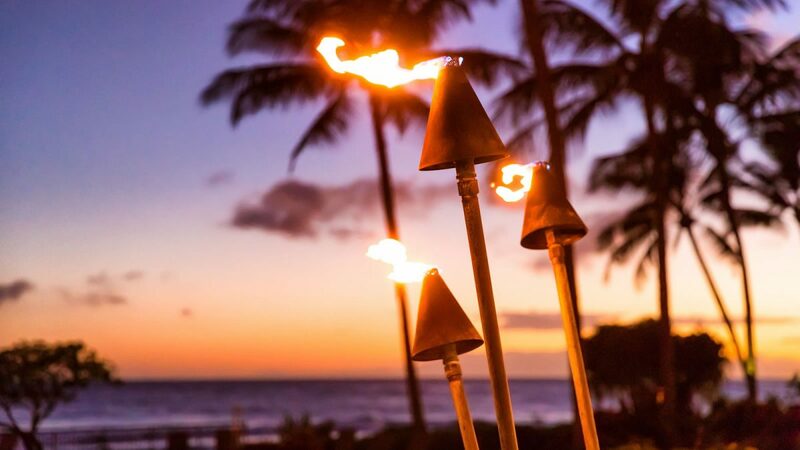 From the Kohala Coast – resort areas north of the airport, join Highway 19 and drive south – this will become highway 11. From Hilo, Join Highway 11, the Mamalahoa Highway driving south. The first commentary will play when you cross the intersection with Airport Road. Where can I see lava? Things can change very quickly with lava flows. 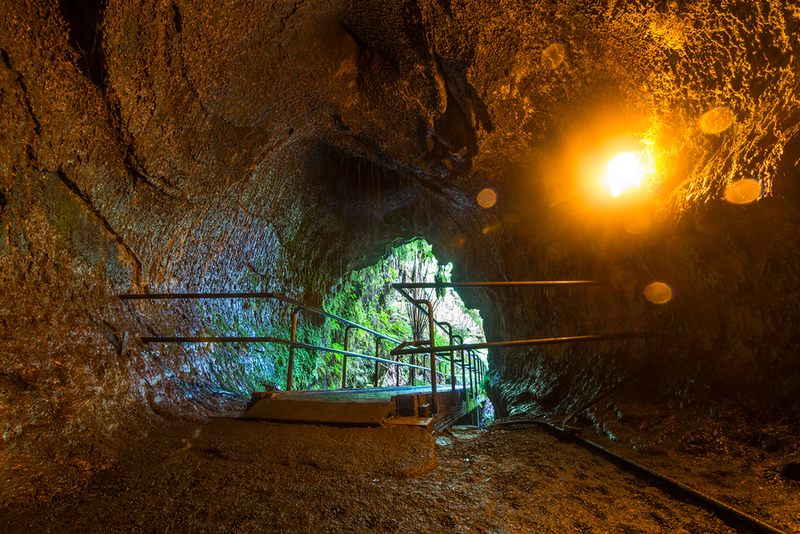 There is no guarantee you will be able to see hot lava and officials will close access to areas that are considered unsafe. It’s always a great idea to ask the staff at the info center at Volcanoes National Park about the most up to date information on where you might see lava. 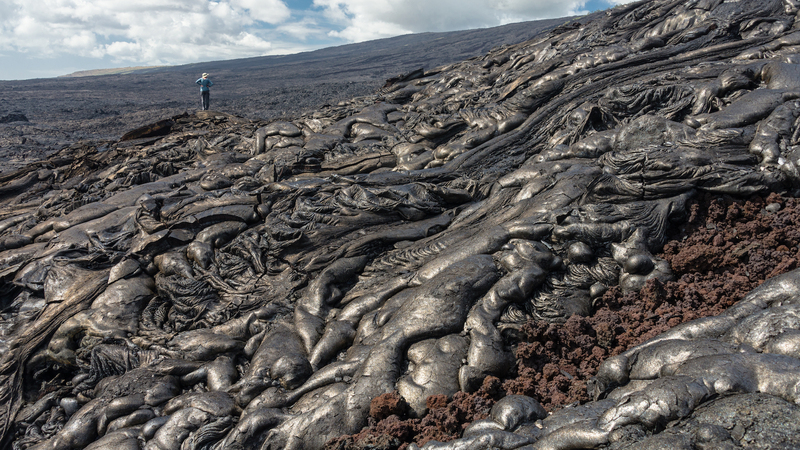 The Big Island has many areas of exposed lava rock which can make it very hot. Bring water, sunscreen, hat and sturdy shoes if hiking.